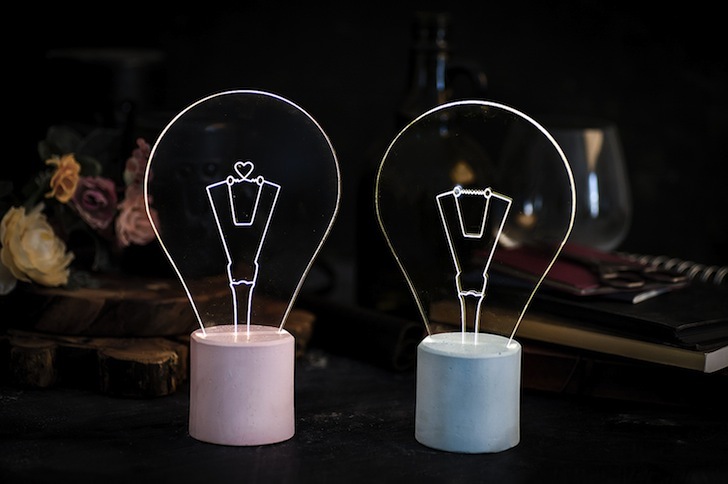 Designer Amit Sturlesi created iLLuminite, a collection of night lights and ambient lights that doubles as playful and decorative works of art. Sturlesi laser cuts geometric lines into acrylic glass to create different shapes mimicking everything from animals to nautical symbols. Lit up with LEDs, the light sits on a painted concrete base to cut down the price of production. The article above was submitted to us by an Inhabitat reader. Want to see your story on Inhabitat? Send us a tip by following this link. Remember to follow our instructions carefully to boost your chances of being chosen for publishing!